7/12 from the 2006 Treasure Hunt series. 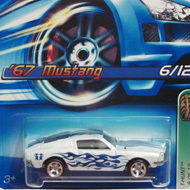 The orange muscle car sports “06” and “Charger” on the sides. The roof has stripes with white stars, the TH logo, and “TREASURE HUNT”. 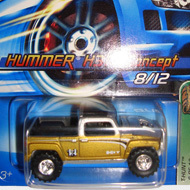 It has clear windows, tan interior, Deep Dish Real Rider wheels, and a chrome Thailand base. 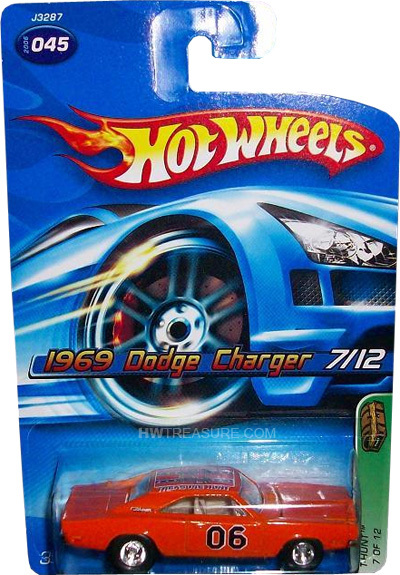 The Charger is reminiscent of the General Lee, the car from the Dukes of Hazzard TV series.